I just finished processing Marika and Dean's in home maternity session and I could not be any happier with the result. 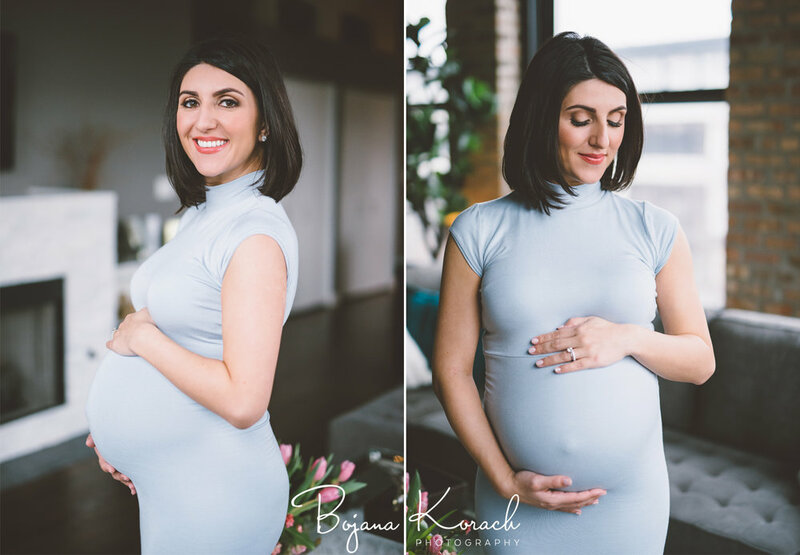 Marika had a perfect pregnancy glow and looked stunning in every shot. Their home, situated in the University Village of Chicago, is impeccable. It looked as if it was straight out of interior design magazines. The light was amazing thanks to the large windows and tall ceilings. This maternity session was perfect in every way. As soon as I walked through the door, the beauty of their home amazed me. With it's tall ceilings, and windows on every side, the light was soft yet bright enough. I wanted to showcase the stunning details of the living room and bedroom and that is where we spent most of our time. Marika's outfits were amazing. They fit snug and allowed the belly to be the focus of every image. The love between Marika and Dean and their beaming excitement of what is to come in the following weeks was prevalent. I hope it translates well into these images. I can't wait to photograph the newborn session. Enjoy!